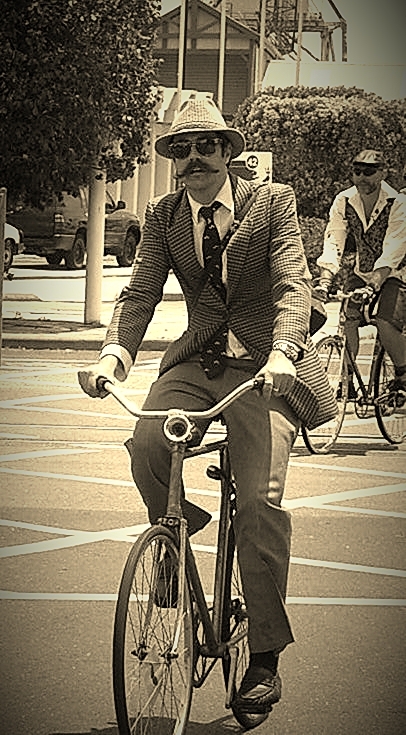 This year the Fremantle Tweed Run is again sponsored by http://dismantle.org.au/ and the Fremantle City Council as part of the Fremantle Festival 2013. It is an event that allows Tweedsters to participate in a leisurely bike ride through the beautiful and historic Fremantle townsite whilst wearing their dapperest attire. All interested ladies and gentlemen are invited, and all are encouraged to dress for the special occasion....kids are most welcome too! 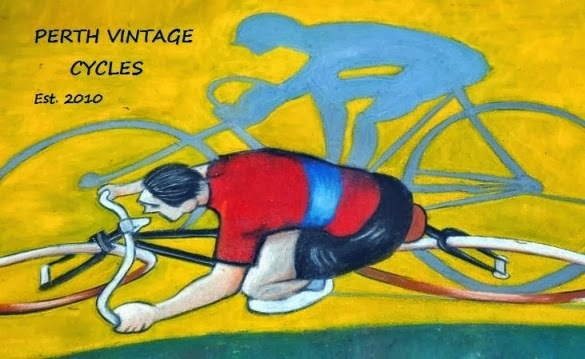 Vintage bicycles are also encouraged, but any bike that doesn't go too fast will also be allowed. 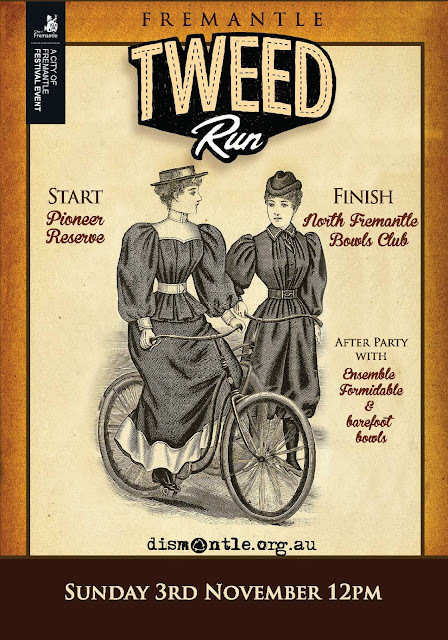 This years event is to be held on Sunday November 3, 2013, and will commence at Pioneer Reserve in Fremantle at midday. Pioneer Reserve is the park on the corner of Market Street and Phillimore Street (the park opposite the Fremantle Train Station). It's a great location for the good times to commence. Here is this years poster to advertise the event. 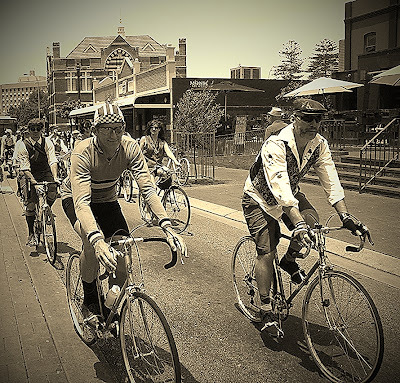 At 2.00pm the group will leave Pioneer Reserve and ride through the streets of Fremantle on a controlled designated route. 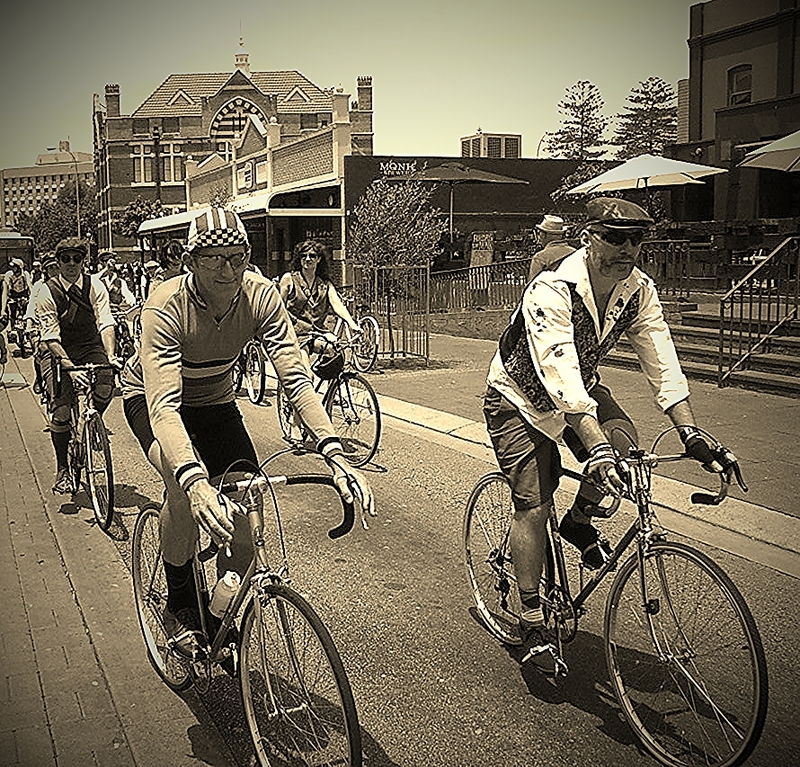 After a short stop for some photography near the river the ride will continue to the North Fremantle Bowling Club. Arrival at the bowling club is expected to be at about 3.00pm. Festivities, including live swing music, will continue at the Bowling Club until everyone has had enough! The bowling club is located on Thompson Road, North Fremantle. Last years event was great...although the the weather was not so favorable. At this stage the weather this year is looking good!! It would certainly be grand to see you there in your finery. 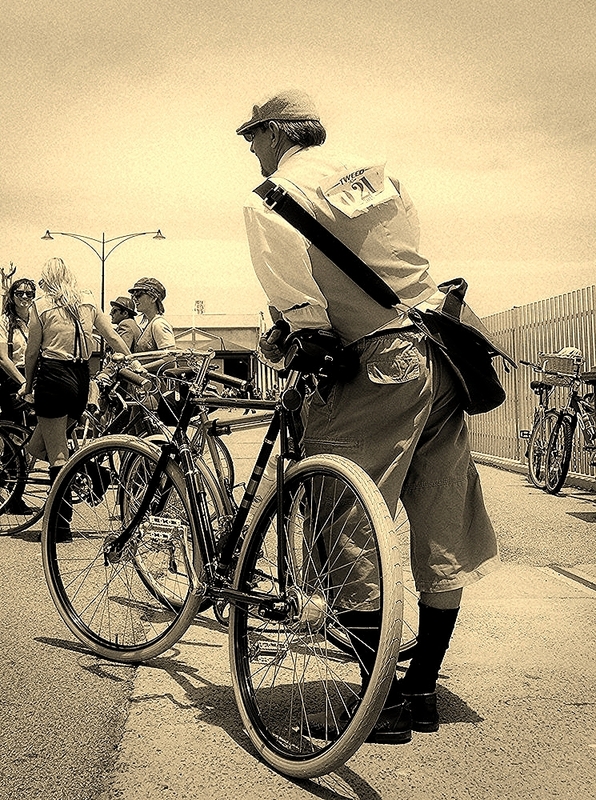 Labels: Fremantle Tweed 2013, Fremantle Tweed Ride, Fremantle Tweed Run.